House-smoked meats, traditional sides, and the Kentucky stew known as burgoo are specialties of this local barbecue chain. 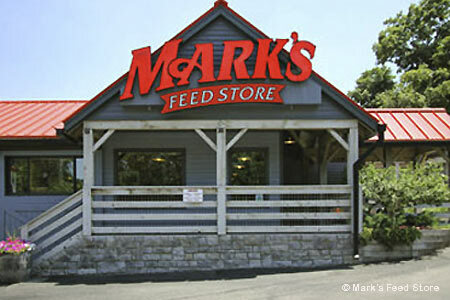 : Decades ago, the original location of Mark’s was indeed a livestock feed store. The vintage tin signs advertising pig and cattle nutritional supplements are a colorful reminder of that heritage. Purina brands are replaced today by generously portioned sandwiches of tender, smoked pork, chicken and beef, accented with the restaurant’s just-spicy-enough mustard-based barbecue sauce. Pork ribs are pre-sauced, which may make purists unhappy, but they cannot complain about the signature sides of tangy potato salad and pork-seasoned green beans. Warning: Fried onion straws are addictive. Burgoo, the savory Kentucky stew loaded with meats and vegetables, is another favorite. If you have any room for sweets, soft-serve ice cream is good, and the homemade buttermilk pie is even better. Service is swift and friendly. Every customer’s name is “Hon.” Beer and wine are available, but no spirits.